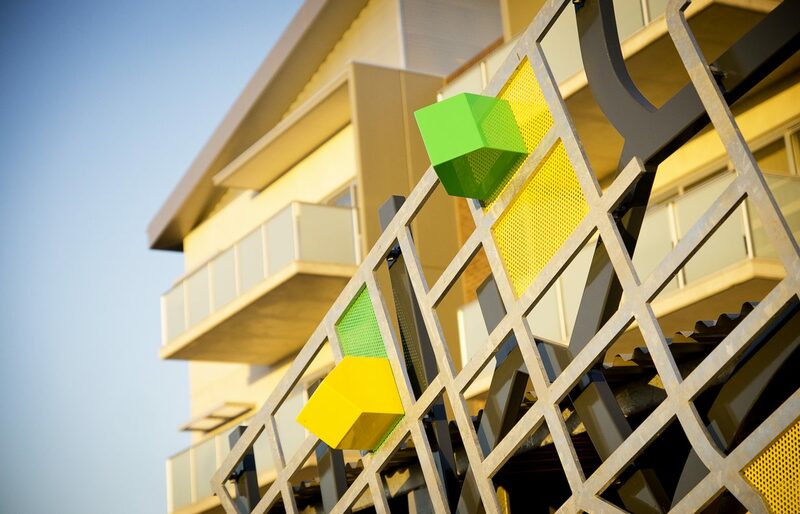 Groundplay were successful in winning a tender to design and implement an entry statement to ‘The Square’, a new urban housing development in Woodville West. 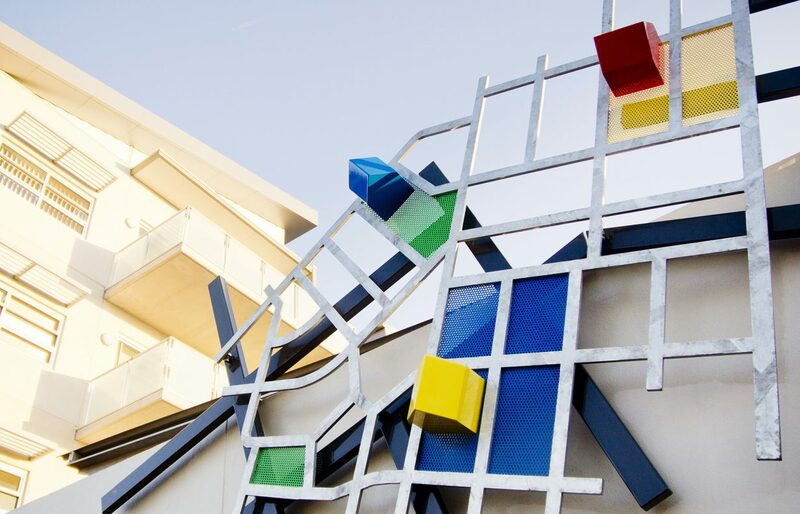 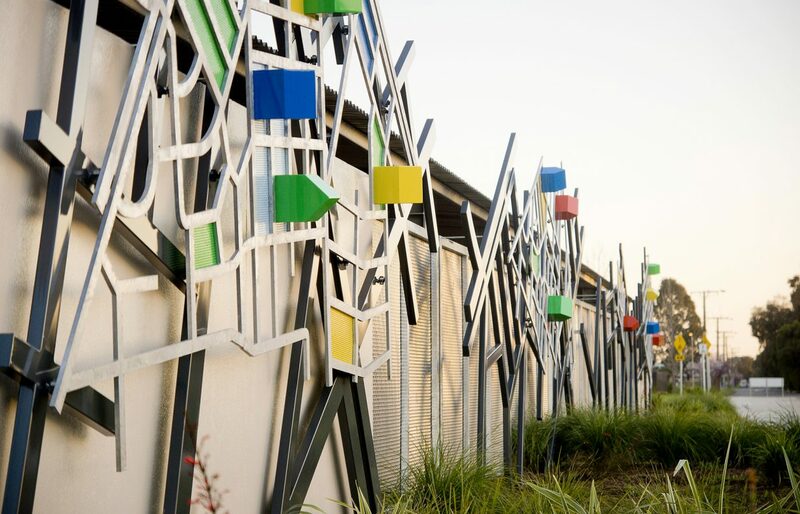 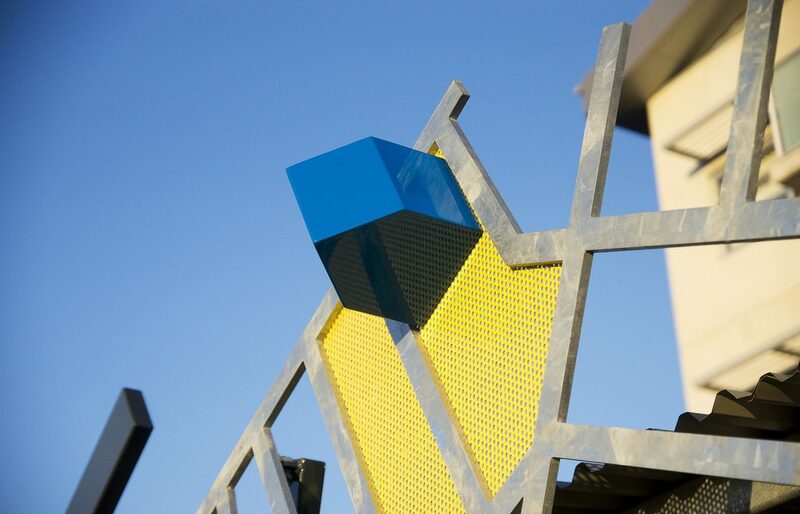 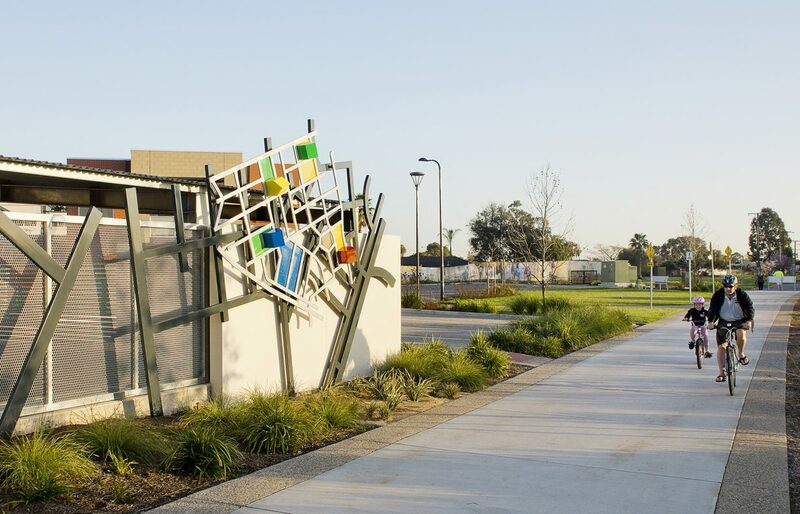 Inspired by the Monopoly board game the work, titled Metropoly, serves as a striking piece of public art to people entering the precinct or using the shared path or train service that run parallel with the work. 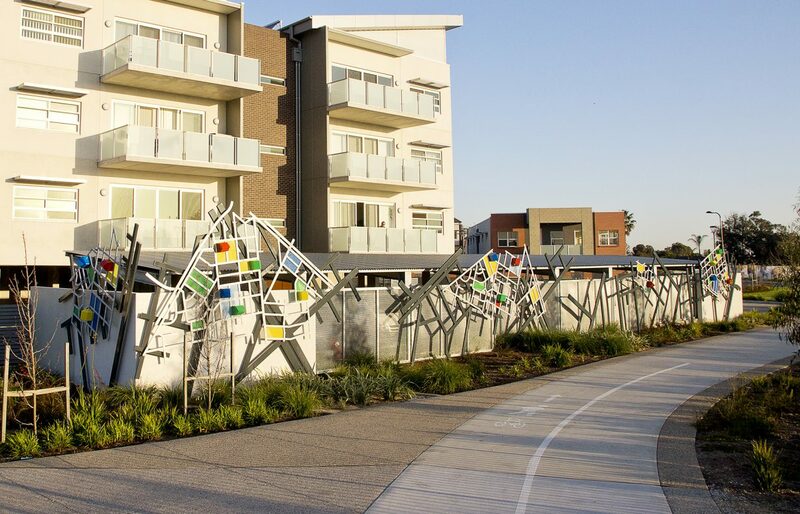 It also acts as a screen to the residential carpark in the development.